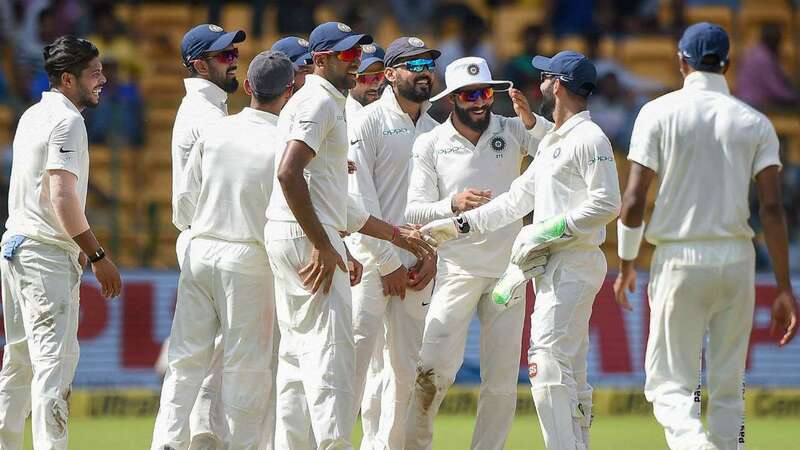 DNA – Indias stand-in skipper Ajinkya Rahane said his side were determined to be ruthless in their approach after the hosts demolished Afghanistan by an innings and 262 runs inside two days in its debut Test match in Bengaluru. Indias stand-in skipper Ajinkya Rahane said his side were determined to be ruthless in their approach after the hosts demolished Afghanistan by an innings and 262 runs inside two days in its debut Test match in Bengaluru. Rahane was full of praise for his batting unit, especially openers Shikhar Dhawan and Murali Vijay, both of whom scored centuries in Indias total. Rahane also had words of appreciation for Afghanistan despite their abject surrender in the match. Dhawan also congratulated Afghanistan for its Test debut and said with time they will definitely improve in the traditional format of the game as they did in the limited overs. Afghanistan captain Asghar Stanikzai too agreed that the Test match was a big learning curve for his inexperienced side.